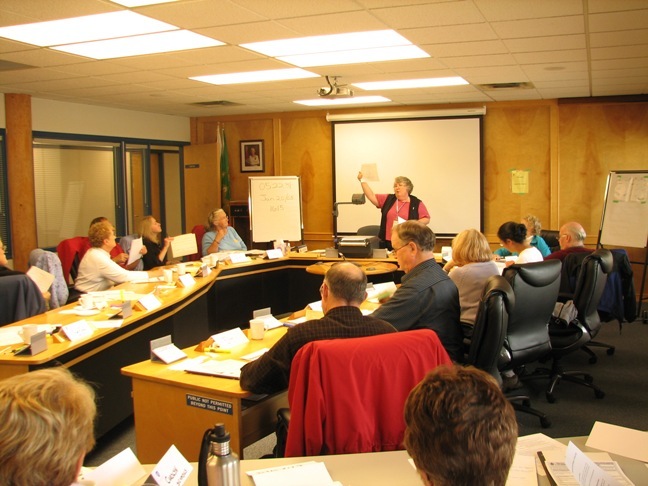 The Columbia Shuswap Regional District (CSRD) is looking for volunteers interested in joining their local Advisory Planning Commission (APC). Expression of Interest forms must be submitted online by April 21, 2019. APC members work together in making recommendations to the CSRD Board and Staff on planning and land use related matters (community planning, zoning bylaw amendments, Agricultural Land Reserve applications, Development Variance Permits etc.) within the Electoral Area. The APC typically meets once a month, or less, depending on the number of referrals they receive. Successful candidates will be appointed to the APC for a term beginning May 2019 and ending May 2023, with the opportunity to apply for successive terms. Training will be provided and all expenses incurred by members will be reimbursed. a desire to share knowledge and experience in a range of subjects relevant to planning and development (e.g. housing, agriculture, construction, parks, environment, youth, seniors, business, geography, engineering, education, arts and culture etc.). Please note that 2/3 of the members of an APC must be residents of the Electoral Area. Members of each fire department, usually residents of the department's fire suppression area, have a strong knowledge of the area and its residents. Their weekly training sessions ensure the best possible response time, knowledge of the most appropriate techniques for each situation and familiarization with the very specialized equipment required for firefighting and safety. They are members of the community with a will to improve their skills while protecting life and property. Fire Practice is on Tuesday at 7 PM for most volunteer fire departments. However, Falkland practices on Wednesdays Silver Creek on Thursday nights. If you are interested in volunteering or simply want more information about your local fire department, please contact your area Fire Chief or the CSRD Fire Services Coordinator. Want to give back to your community, make a difference topeople affected by disaster, develop new skills and meet new people? As a volunteer with SEP you will be helping to make the Shuswap and Area safer, stronger and better prepared for any future emergency or disaster situation. SEP volunteers and associated services assist their communities in many ways. You can meet and greet, care for pets, learn about amateur radio, provide emotional support, run messages and much more. It takes the efforts of many to ensure that, if an emergency occurs, there is someone to respond. Volunteers are essential and often critical for the success of a community Emergency Program. SEP is always looking for volunteers to assist in various capacities depending on experience and availability. Contact SEP for further volunteer information.